I've been invited to perform as part of a drone collective this Sunday a the Textures Ambient Showcase in Denver (Facebook invite). The show has these rules. I went back and forth trying to decide what synth to bring. I know some of the other performers will be bringing Moog Sub 37, a Korg MS20, and Euroracks. The obvious choice for me was my Nord Lead 4. It's perfect for this sort of thing. But then again, there is already going to be a lot of oscillator based fire-power there. Instead, I decided to play the show using only my Octatrack so I could compliment all those synths with some unique textural drones. I have developed techniques around using the Octatrack more like an organic synth making heavy use of morphing and LFO automation to make source material unrecognizable. I can also get some great movement within drones as well by manipulating the loop length and such. Rather than live sample at this show (although that might happen), I want to bring in some prepared sources. I already have a lot of original Absynth content in my Octatrack audio pool but I wanted to add some new original Zebra 2 and Rayblaster content as well. 2) Create a MIDI clip that plays a single note. In my case the note lasts 8 bars so I can capture some motion in these original presets. 4) Create a new Audio Track in Ableton. 5) Rename the track to the name of the synth your sampling. Example – "Rayblaster". What this does is name all the subsequent clips you sample in that track to that name with a number in front of them making them easy to find later – and easy to identify once you import them into your sampler. Below is a little video I did a while ago on using shortcuts to rename elements in Live. 6) Set the Audio From to "Resampling". 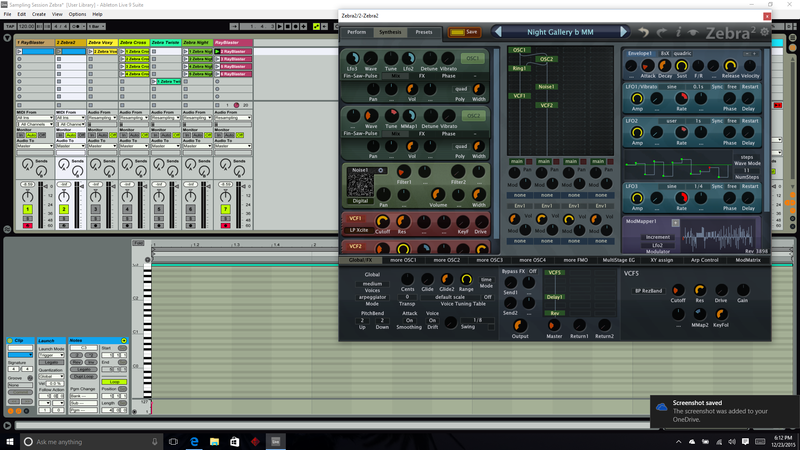 7) Arm both the plugin and audio track. 8) Stop all clips to make sure you'll only being playing the clip mentioned in stop#4. Play the clip from step #4. Stop. Over on the audio track you are resampling into, click on an empty circle on empty clip slot. This will start playback and record the audio from the plugin into an audio clip. 9) Hit space bar when you want to stop. 10) Go back and trim the sample to the number of bars you want, then right-click and "crop". 11) Repeat 7-10 till till you capture all the content you need. 12) Save your project, then do a "Collect All and Save". 13) To quickly get to the samples you created, go to clip, right-click, then select "Show in Explorer"
14) Now you'll see the pool of audio samples from this session and can them import them into your sampler. You've probably figured this out already, but this same technique gives you food for clip launching, Ableton Sampler and Ableton Simpler. Because the Octatrack is instant on, has incredible real-time synthesis and effects with super expressive automation and a very nice and accurate slider. Different user interfaces and wokflows yield different results. I get a different result staring at a screen than I do with using a piece of hardware. I also used this technique in my duo A.I. 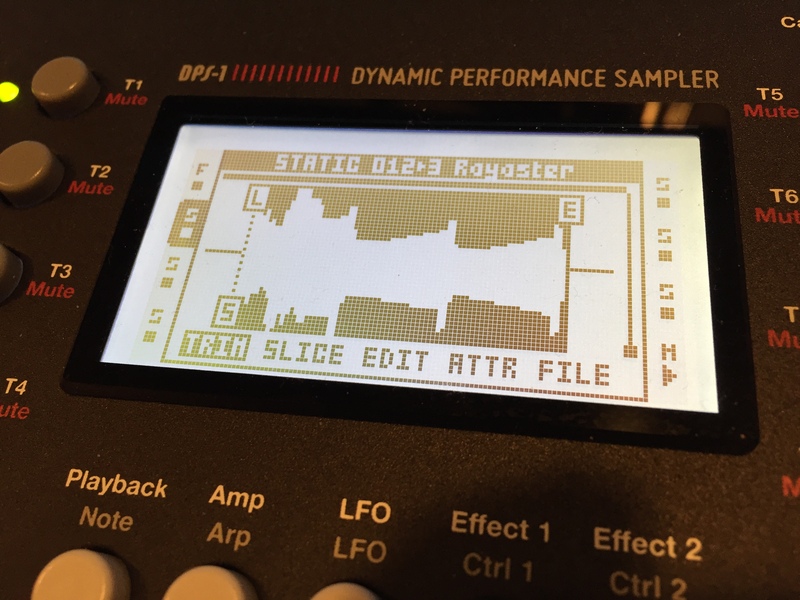 Winter to bring a ton of custom Absynth patches to the Octatrack for a performance that turned into the EP Instantiate. 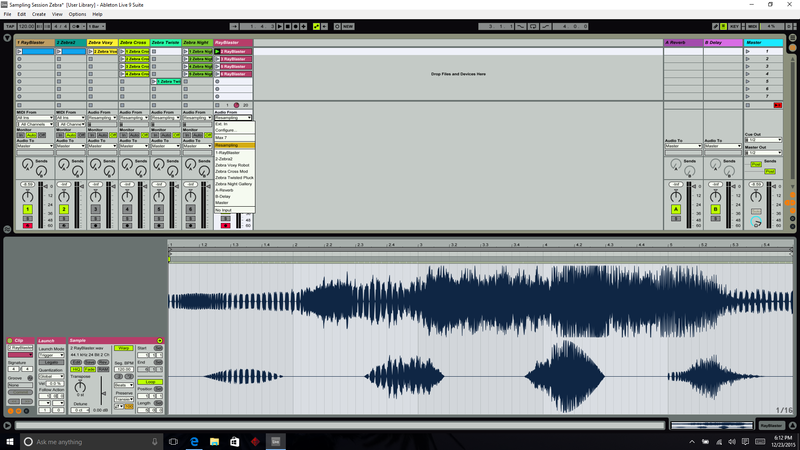 I love how Ableton Live resampling makes it so easy to capture audio as it’s made! I started recording in analog tape days, so it’s always annoying when DAWs either can’t record audio output on the fly, or require fiddly bus assignments to do so.